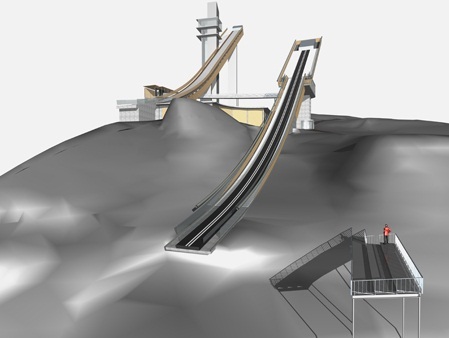 For nearly 30 years the normal hill at Schattenberg in Oberstdorf has remained unchanged and even when the whole ski stadium Erdinger Arena and the large hill were converted for Nordic WSC 2005, no constructive measures were applied onto the profile of HS 100. 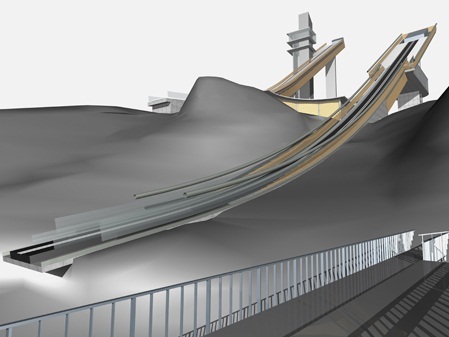 Because the FIS certificate of the ski jump will end in 2013 and the jump does no longer fulfill latest ski jumping hill construction norms, it will now be replaced with a new-construction meeting all modern requirements. 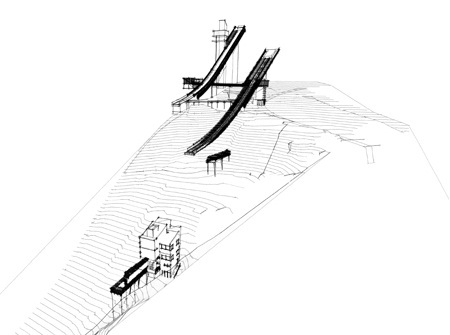 So already in November 2010 the decision fell, to replace the old 37 degrees steep inrun tower with a new one with an angle of 35 degrees and move the take-off backwards by 6 meters. 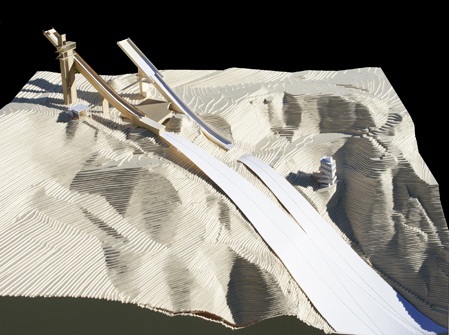 The new jump planned by architects Sieber & Renn from Sonthofen will then have a K-Point of 95 meters and a Hill Size of 106 meters. 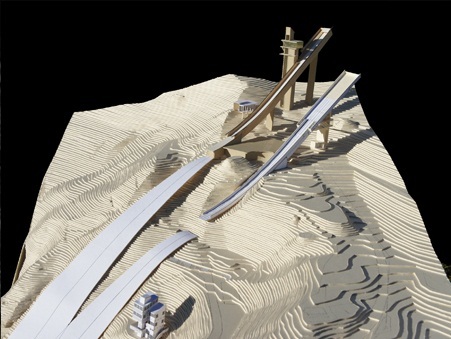 In April 2011 bulldozers will come to start realizing the nearly 5 million Euro expensive project. 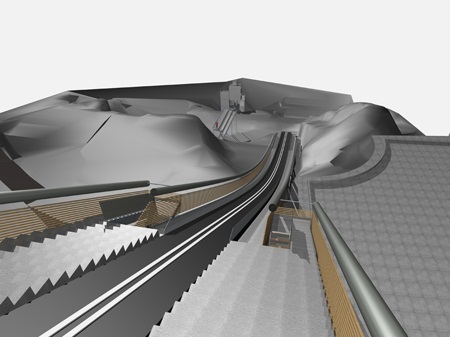 Because the small Schattenbergschanze is hardly used for international competitions there has been a controversial debate about it, but the conversion will help to ensure the status of Oberstdorf as the training center in Allgaeu. DOrt werden keine Weltcups ausgetragen...sonst wüden 3 Weltcup pro Jahr in Oberstdorf ausgetragen werden! Eventuell wird dort vielleicht ein COC auf der HS 106 ausgetragen...! 300 Meter Fluganlage zu bauen.